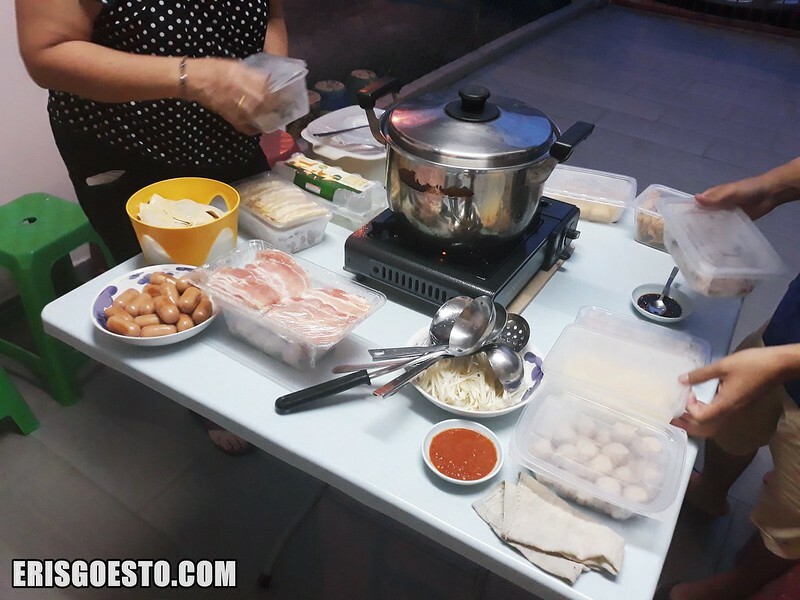 On New Year’s Eve, the fam and I had a hotpot dinner outside our house. It was bloody hot but that was part of the fun. 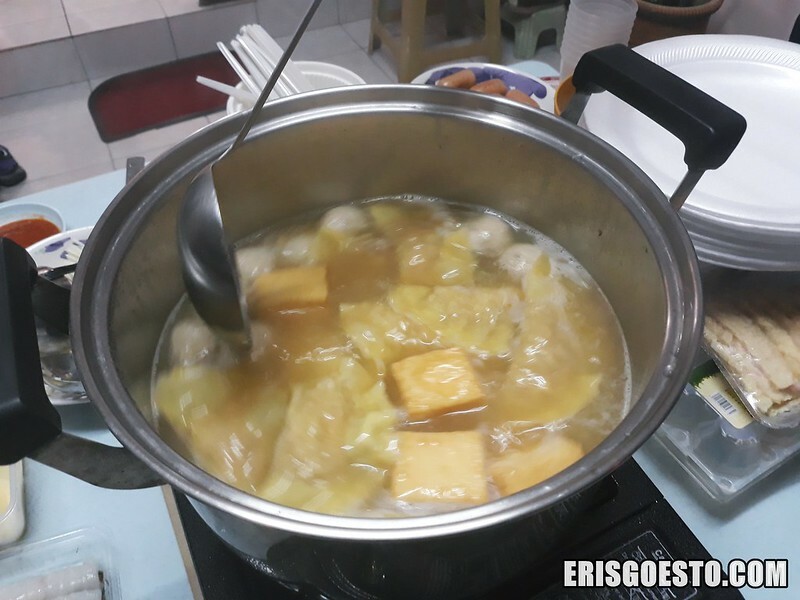 Moomikins was really excited and even bought a small gas stove just for it. 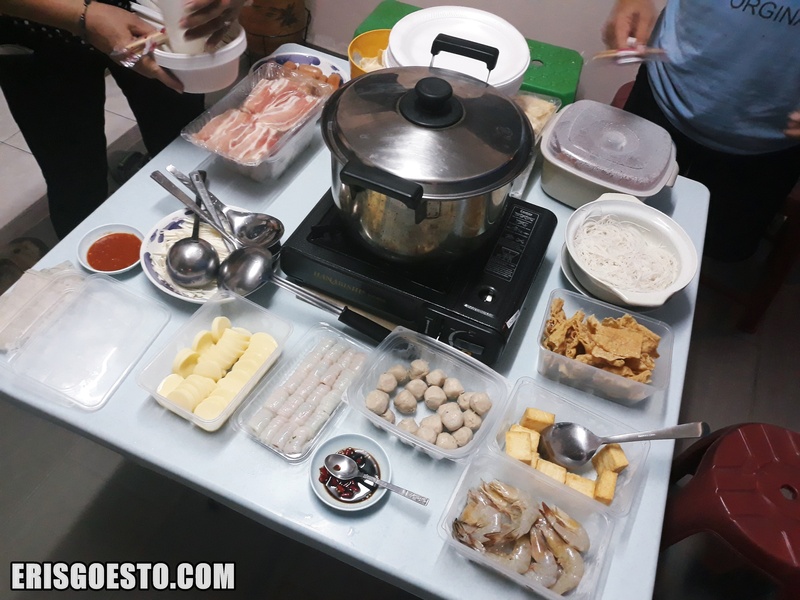 Then we got all the ingredients ready: shrimp, seafood tofu, pork balls, fish balls, noodles, dumplings, fried beancurd skin, needle mushrooms, shabu-style thin-cut meat, etc.